- 1 Capsule BD or as directed by the Physician. 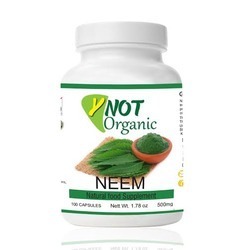 We offer Neem Capsule 450 mg. Each capsule contains pure 450 mg of Azardichta Indiaca Leaf Extract. 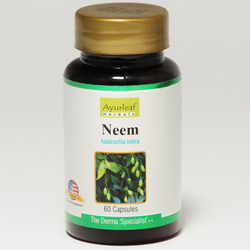 Each HDPE bottle consist of 60 such capsule.